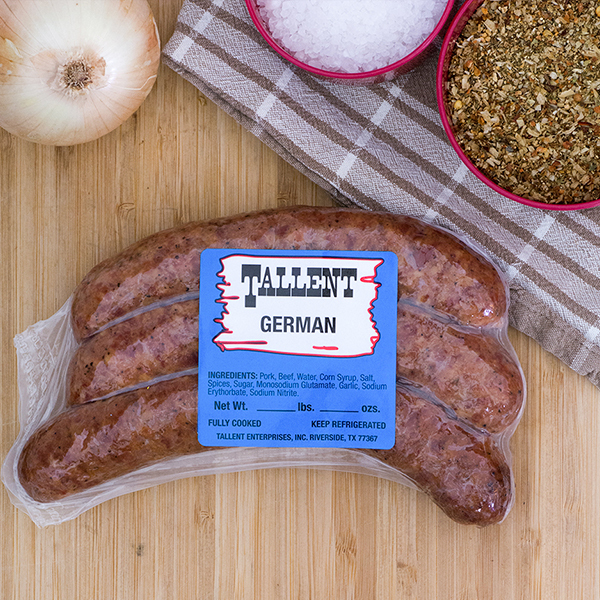 Our newest addition to the smoked sausage line-up. 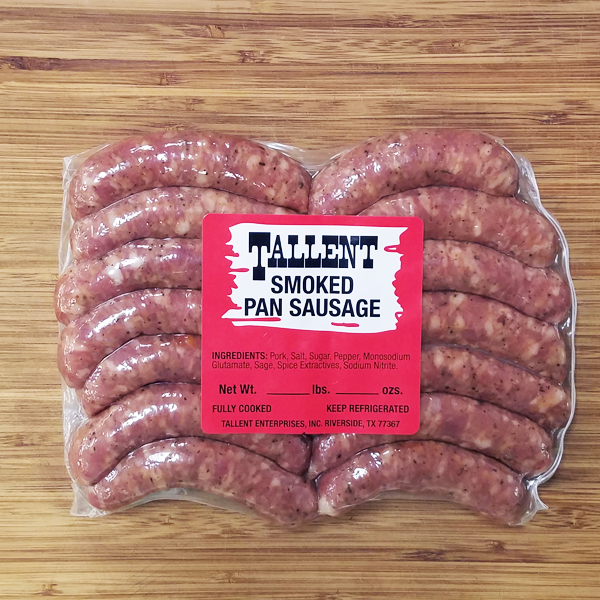 Tallent has been making great breakfast pan sausage for years, but recently decided to stuff it into links and smoke it with the rest of our flavors. 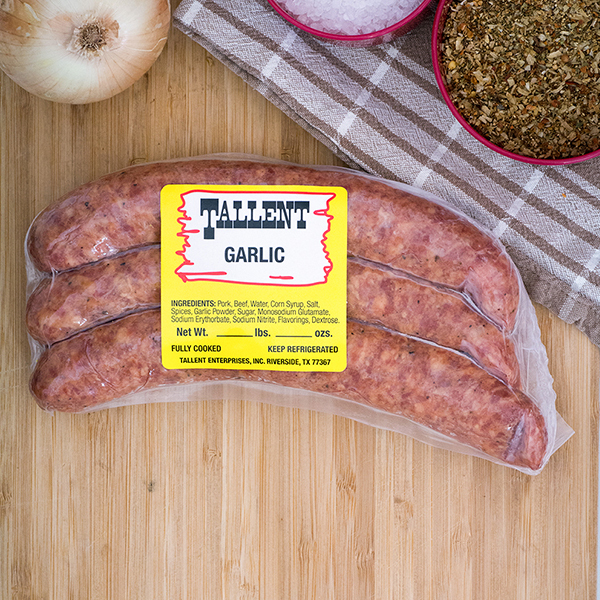 Our Smoked Pan Sausage Links are an old-fashioned blend with a zesty flavor you won’t forget. 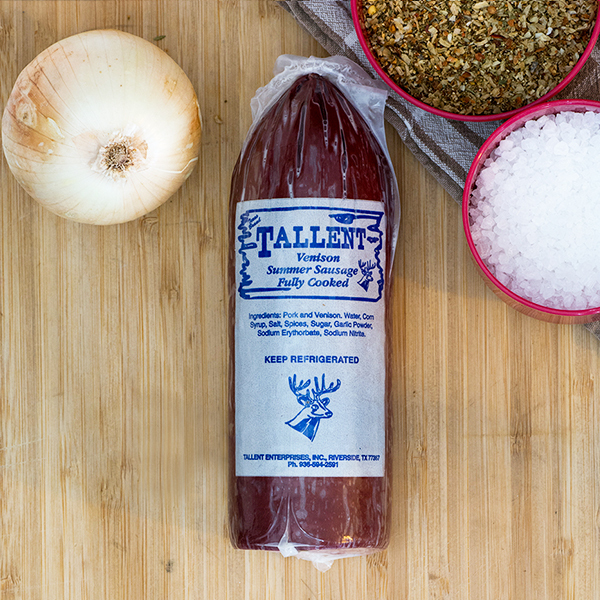 Definitely a must try!